Godzillas’ character has forever and a day been ostracized and vindictively attacked by the human race on any given screen, made to be the enemy of life on planet Earth no matter the era he has been shown. It is clear time and again that Godzilla has always emerged from the depths of Earth, along with other varying behemoth life forms, clearly not alien in origin, and thus should be considered a legitimate creature of this planet. Furthermore, the human race concretely proclaims their dominance over all life on Earth and doesn’t acknowledge the integral fact that Godzilla, in his own way, has already made claim as the dominant species long before man. This understanding is more or less given in the opening dialogue and scenes of Godzilla – Monster Planet. Haruo Sakaki, a main character, is conflicted by the understanding that Godzilla may have had claim to the Earth first before man. Haruo sets the stage with his monologue whereby he blurs the lines between natural animal and monster, even more so between monster and man, leaning on the potential of them being one and the same. From the movie, it is made clear that Godzilla has established traits and compositions that affirm he’s a native species of Earth, clearly more evolved from the average rate than most species on the planet upon his debut. It took approximately 20,000 years for the remainder of Earth to somewhat catch up to his evolved state, and that is after the majority of the human race abandoned the planet because of Godzilla’s rampage. The vilification placed on Godzilla by the humans is not unlike humanity declaring war, or harboring hatred towards another country for some known notable reason that could be understood between both parties; they're in a sentient understanding within the argument, hence a party can vilify another. However, when it comes to a force of nature against humanity, or a regular animal that might have attacked a human, the animal isn’t attacking from a vindictive nature, but from a normal, programmed part of instinct. The human may choose to be upset or riled by the animal’s actions, but can certainly not label the animal with a title of villainy, since villainy is a conscious—or sentient—act that cannot be tied to an animal. In this case it is the emotions from humanity derived from unconscious negative life experiences placed on Godzilla to better cope with there current trauma. 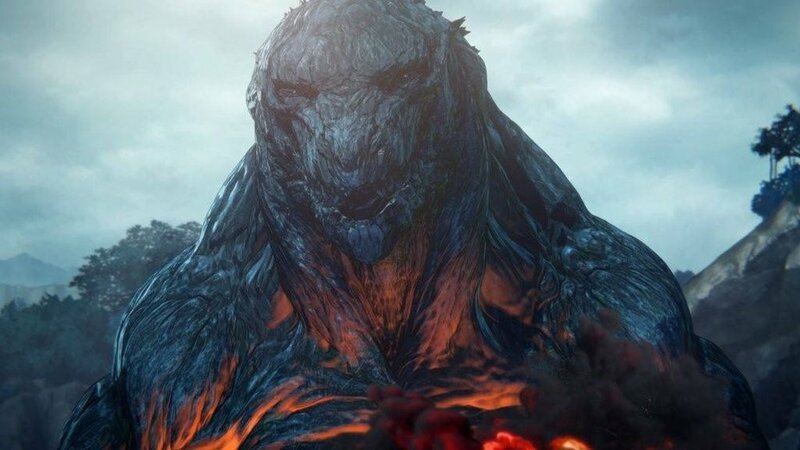 The true villain ebbs from humanity's frustration within themselves, and the lack of not having the capacity to control a seemingly unstoppable force such as Godzilla, not unlike a stampede of wild beasts that simply follow the programming of nature. Fixing the term villain on Godzilla is nonsensical and should be corrected to a term befitting a beast, unaware of cognitive, human actions. His existence should be accepted as a manifestation of nature, Earth itself being the acknowledgment that he is not a creature with a vindictive nature capable of villainy. Godzilla is simply following his natural programming within himself as a wild beast, and humanity should take care not to project their own human qualities onto Godzilla.